We know that many of our members and their registered Missouri Fox Trotter spend many hours on the trail. To recognize the time our members spend in the saddle, the MFTHBA sponsors the Fox Trot America Program. If you are looking to participate in organized rides, consider joining the MFTHBA and its affiliates at a National Trail Ride Program. 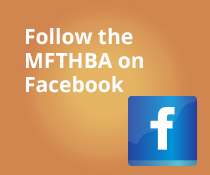 The MFTHBA also partners with Top Trail, a trail mileage program, to provide additional recognition to registered Missouri Fox Trotting Horses and MFTHBA members participating logging miles. Top Trail maintains a special leaderboard for Missouri Fox Trotting Horses. Each year, the MFTHBA recognizes the Top 5 miles earners. This recognition is in addition to the monthly and quarterly recognition provided by Top Trail. The top mileage earner Top Trail that also participates in the MFTHBA’s Fox Trot America Program is recognized as the Missouri Fox Trotting Horse Trail Horse of the Year and receives their name on a permanent plaque in the MFTHBA Hall of Fame. For members that want to add a competitive feel to their trail ride experience, consider competing in a MFTHBA Trail Obstacle Challenge or in a competition hosted by one of our Partner Organizations.